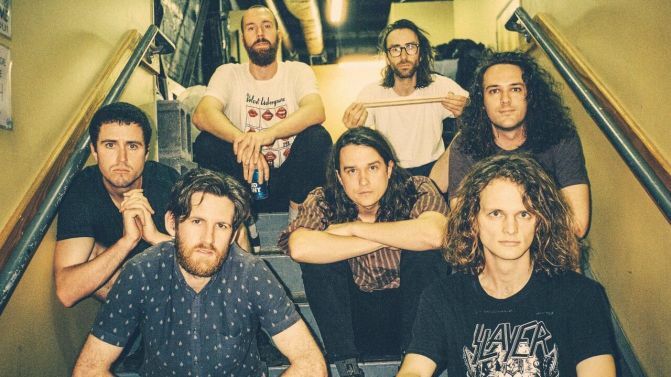 King Gizzard & The Lizard Wizard have gone full thrash metal on their speed-riffin’ new jam ‘Planet B’. Perhaps in a bid to school everyone who had a whinge when they took out the ARIA for Best Heavy Metal Album a few years back, the Melbourne psych wizards have channelled some classic Metallica/Megadeth vibes on their latest track. It’s unclear whether this sonic curveball is just a random standalone single or else some kind of stylistic outlier on what they previously announced would be their “boogie-orientated” next album, Fishing For Fishies. Who knows, maybe the prolific songwriters have yet another album in the works (it would hardly be surprising considering their past shenanigans). Either way, you can throw your horns up and give ‘Planet B’ a listen below.